The designs of the citations and the participation diplomas were fixed in May 1988, and the test products were made. 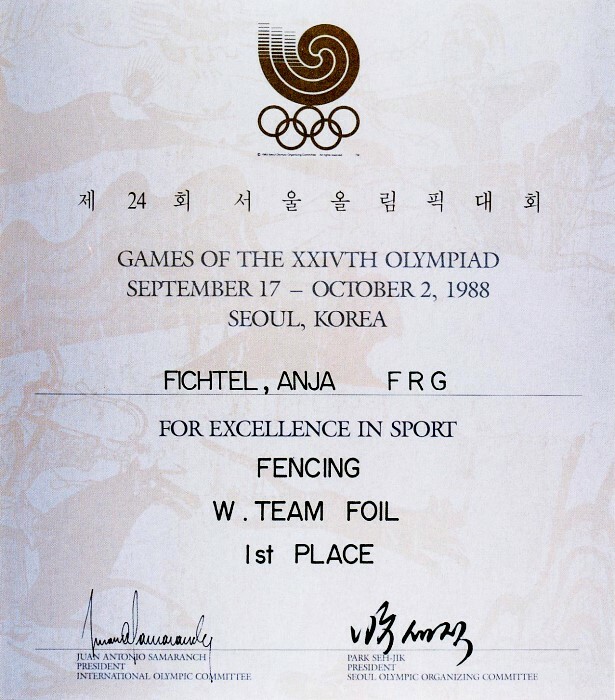 In June of the same year, the diplomas were approved by the IOC President Samaranch during his visit to Korea. On the citations were printed weakly the hunting scene from the warriors' tomb built during Koguryo Kingdom (37 B.C.-A.D.668). The participation diplomas were designed to enhance the image of Korea through the variations of taeguk, the yin and yang symbol on its national flag. Six thousand citations and 23,000 participation diplomas were produced to be given to the estimated number of prize winners and participants. The citations were presented to those who were placed first to eighth in the 23 official sports, six demonstration and exhibition sports. The participation diplomas were handed out to all athletes, delegates and other participants in the Games. The citations and the participation diplomas were distributed to all NOC delegations.